What 's The Key Points of Daily Inspection for Amusement Equipment? Home News Jinshan Blog What ‘s The Key Points of Daily Inspection for Amusement Equipment? What ‘s The Key Points of Daily Inspection for Amusement Equipment? 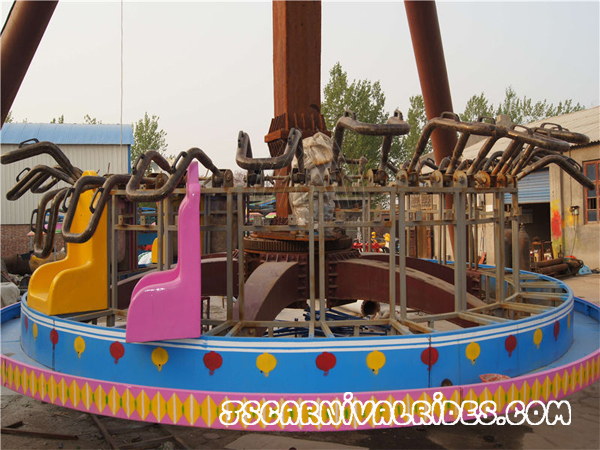 Now there are many amusement parks which includes many amusement equipment , for operating smoothly, the amusement equipment need the daily inspection everyday, So what ‘s the key points of daily inspection for amusement equipment? *To insure that the players can’t be separated from the passenger part. 1.The handle , safety belt and safety lever of passenger part should be fixed, locked and without fracture damage. 2.Locking device on the door of cockpit or in the import and export should be locked and without fracture damage. 3.The whole cockpits don’t have the fracture and corrosion damage. 4.The Obstruct on the door or window in cockpit doesn’t have the damage. 1.The prevent loosing method should be reliable if the accessories use the bolted connection. If use the pin roll connection, the prevent loosing method should be reliable. 2.There are no crack or break in the welding parts. 3.There is no obvious deformation in stress concentration. Next： How to Choose A Excellent Carousel?